October 11, 2018. 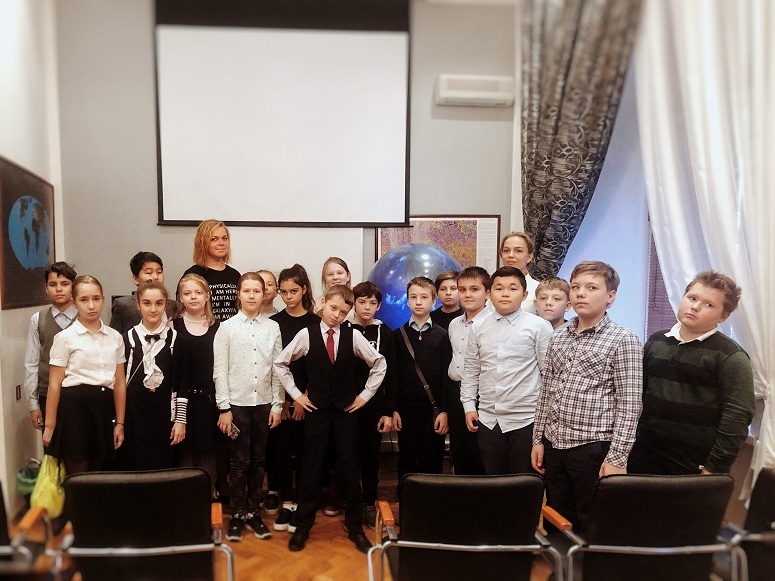 As part of the Festival of Science-2018, GC RAS held a series of lectures “Journey to the Planets of the Solar System”, which was conducted by researchers of the laboratory of innovative projects O. Samokhina and A. Odintsova. During the lecture, the participants of the Science Festival got acquainted with the terrestrial planets and the gas giants; found out how they differ from each other and why life is not possible on them; saw the highest mountains and the deepest canyons of our solar system. This fascinating journey ended on planet Earth: the guys learned how our planet looked many years ago and how it might look in the future; witnessed the most devastating tsunamis, earthquakes and eruptions; watched the life of our planet as if we were looking at it from space, thanks to the unique equipment with a spherical screen.